There's a reason we call them man's best friend. 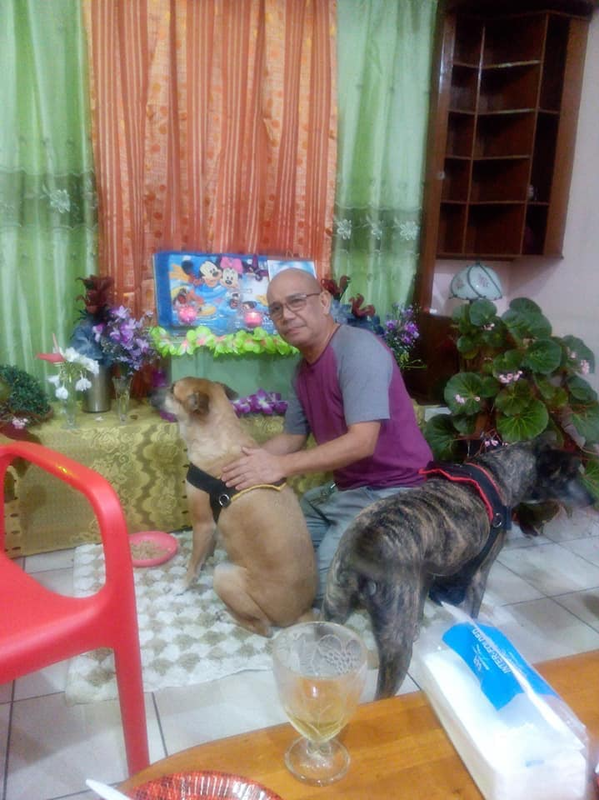 We can learn so many things from a dog's behavior, personality, demeanor, and most importantly, the willingness to provide a family members with unconditional love, loyalty and companionship down to their very last breath. 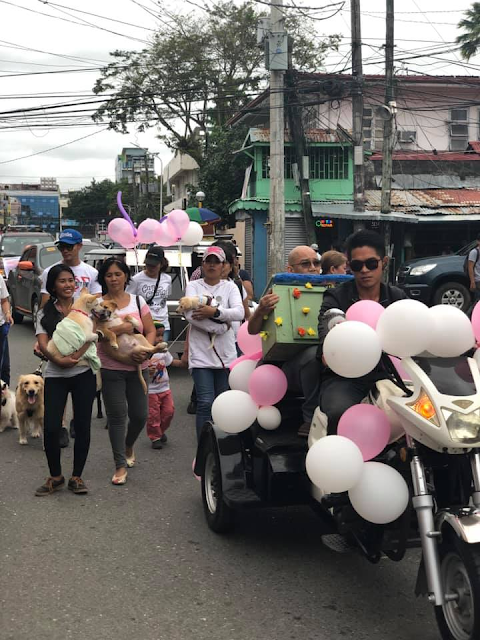 A dog owner Albert Manalo was so devastated by the loss of his Japanese Spitz 'Nikki' were he gave a wonderful send off. 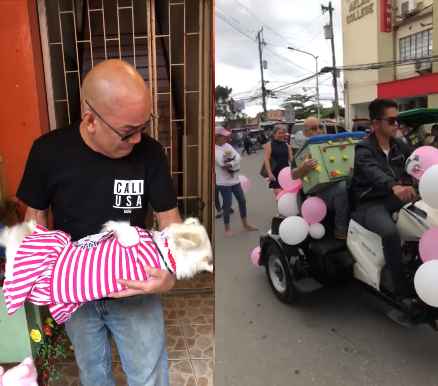 Pictures and video were gone viral online showing the emotional Manalo carrying his beloved dog before he finally sent off to the cemetery. The 7-year-old Nikki passed away after suffering a cardiac arrest. Determined to give him a proper send-off, Manalo arranged a white and pink themed celebration of Nikki's life with him as part of the family - which she deserved the same respect as any deceased family members. 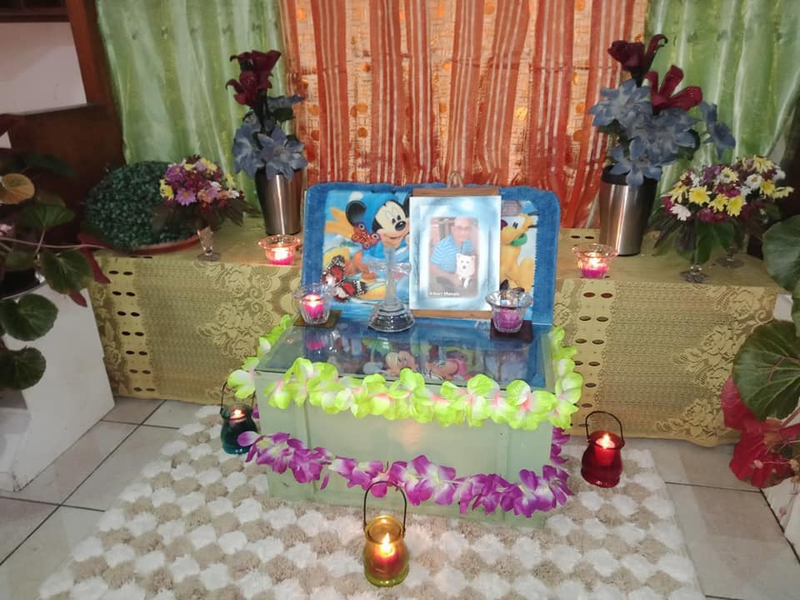 Nikki was placed in a coffin decorated with Disney themed inside and full of baby stuff. Together with some other dog lover, they send Nikki to her final place on January 23 with a funeral procession in Kalibo, Iloilo City.